Thank you! 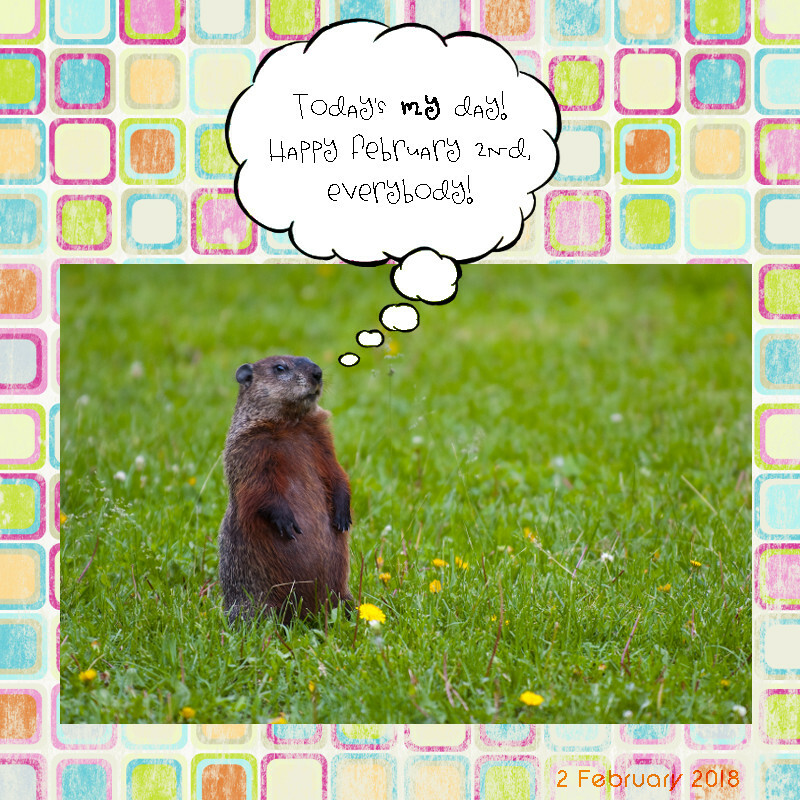 happy Ground Hog's Day to you too! Thanks! I hope you and Pat are having a good one. Pat is doing well. His surgery was this morning. I'm fine. I'm just trying to be available since he's not supposed to walk except to the bathroom and back. It's going to be a long week. (grin) Poor guy is already restless!